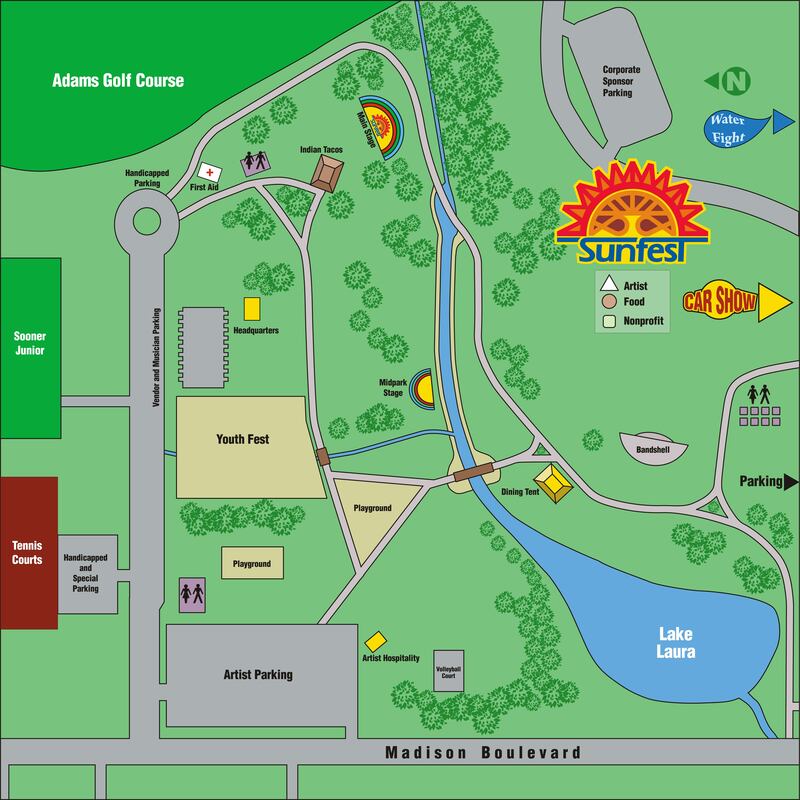 The festival is held in Sooner Park in northeast Bartlesville, Oklahoma near the intersection of Madison Blvd. and Tuxedo Blvd. and Vinita, OK -from the east. If traveling on Highway 75 (Washington Blvd. ), turn east on either Adams or Tuxedo Blvd., then onto Madison. Follow the signs to free parking on both the north and south side of Sooner Park. Need a map of the park?